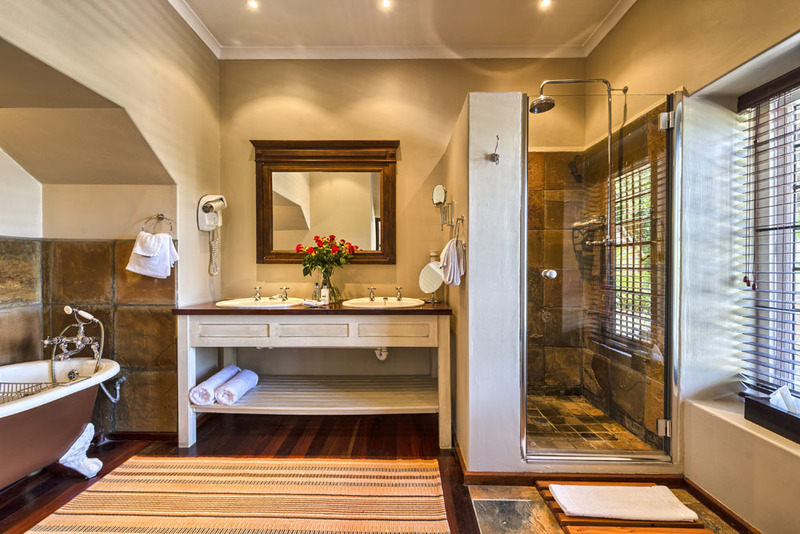 A double room with an ensuite bathroom offers a slipper bath and a shower. 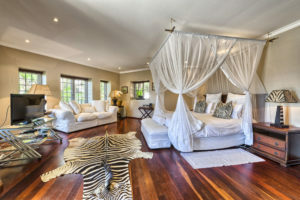 The room features a flat screen TV, internet access, tea and coffee making facilities as well as a seating area. It has French doors opening out to the main terrace with beautiful garden and scenic views across the Constantia valley. 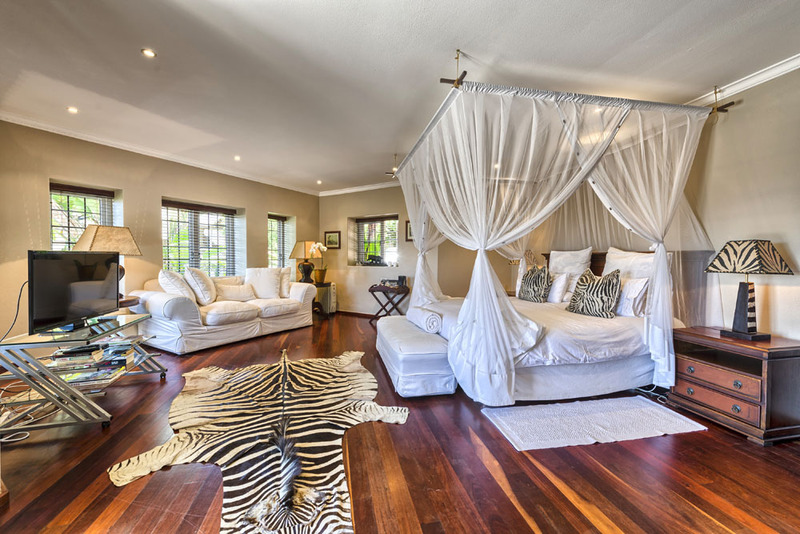 This room is also our favourite for honeymooners!